You would think after these years of these projects all would go smoothly, not so, briefly we had the usual frustrations with visas..... Jagdish Prajapat son of Manohar Lal had his visa application rejected as he was considered a flight risk, nevermind he has a wife, 3 small children, extended family and community in Kumhaargram. With letters from people of influence a second application was successful however he did miss the first 2 weeks of Crosshatched 2015. The Crosshatched 2015 team was Manohar Lal and Jagdish Prajapat Ann Ferguson and myself Sandra Bowkett. We got off to a start with Manori and I making 100 planters for Mr Kitly. 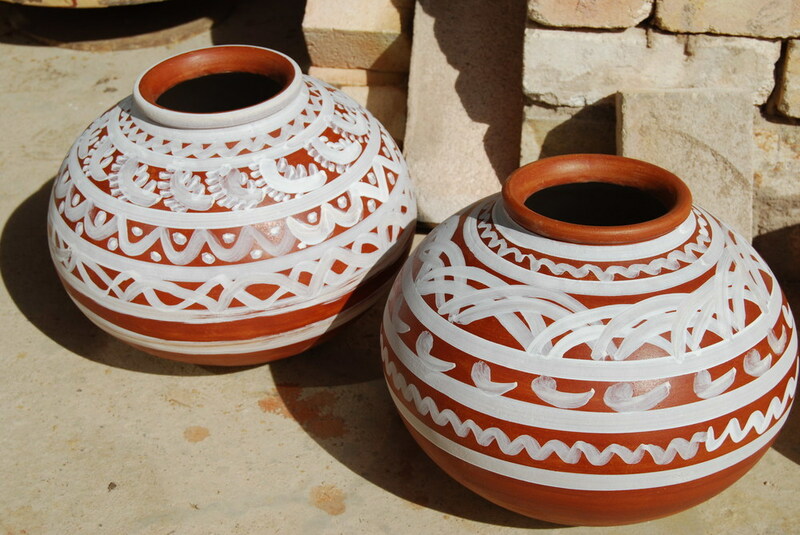 Manori made the pots on a traditional manual wheel and I turned them on a kick wheel, they were then fried in the woodfired kiln. Castlemaine State Festival. 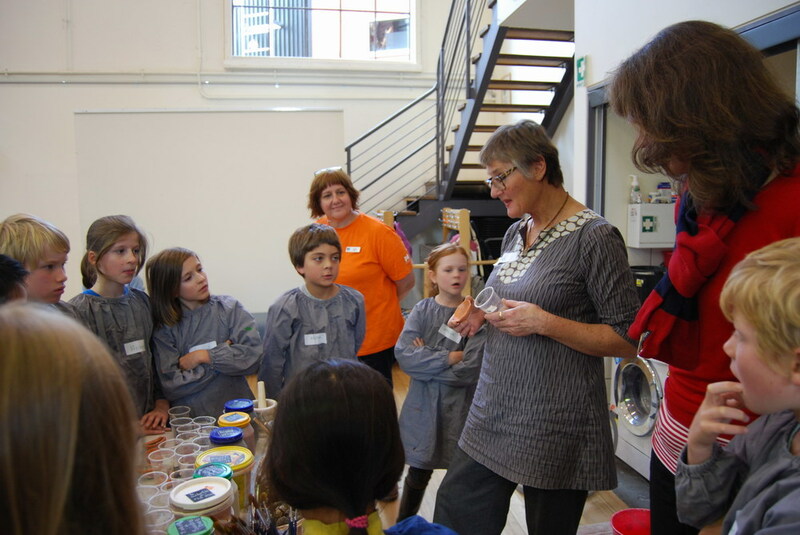 We had a busy 10 days of workshops and getting to as many fesitval events as we could. Clay for the workshops was donated by Northcote Pottery Supplies. 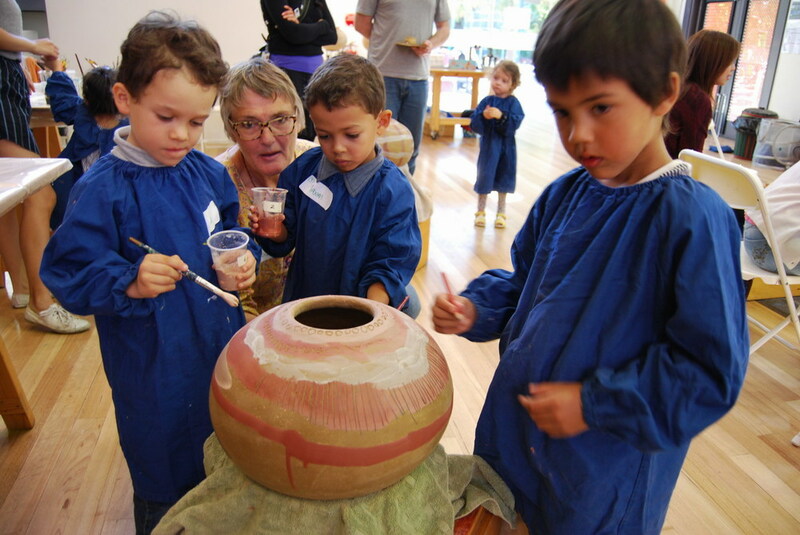 Manori made the beautiful waterpots forms that were decorated with Castlemaine earth materials gathered and prepared by Ann. 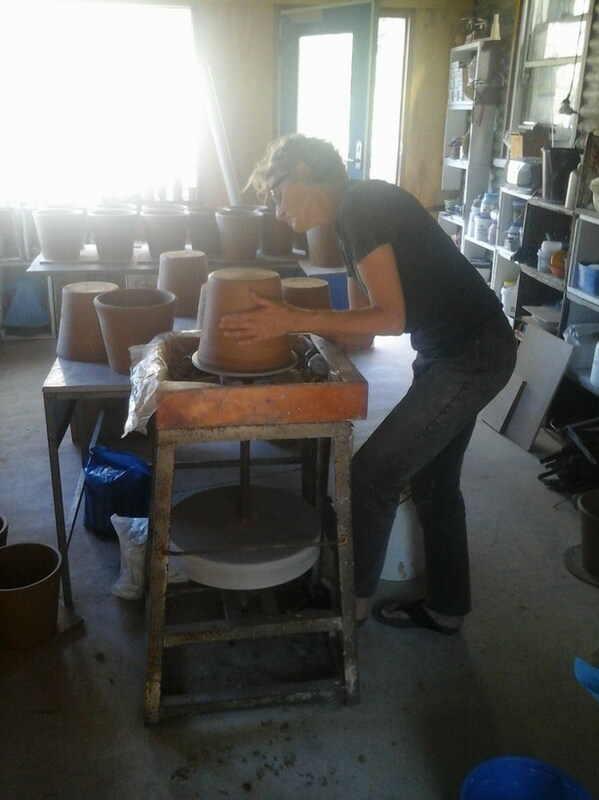 A second weekend of workshops was held for participants to decorate a waterpot or a series of pieces that could be stacked for a standing sculpture. Many enthusiastic painters came back throughout the week to add more pieces to their collection.These pieces were also fired in the kilns at Latrobe University Bendigo. We built a small kiln out of a 44 gallon drum lined with a mix of horse manure and clay and fired it. And a big treat was a visit, singing and conversation with Maru Tarang. ArtPlay at Birrarung Marr. 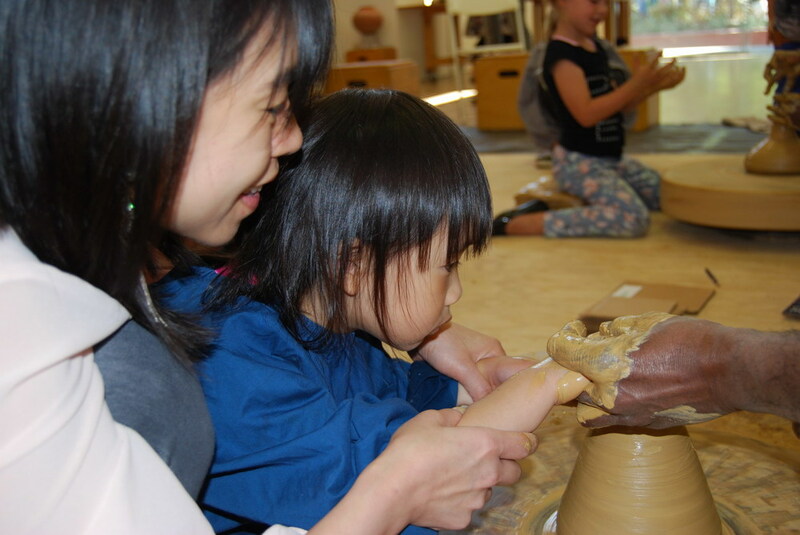 A City of Melbourne venue for creative activities for children. The weekend of workshops for children and the Crosshatched team was assisted by Preeti Sharoha as interpreter. 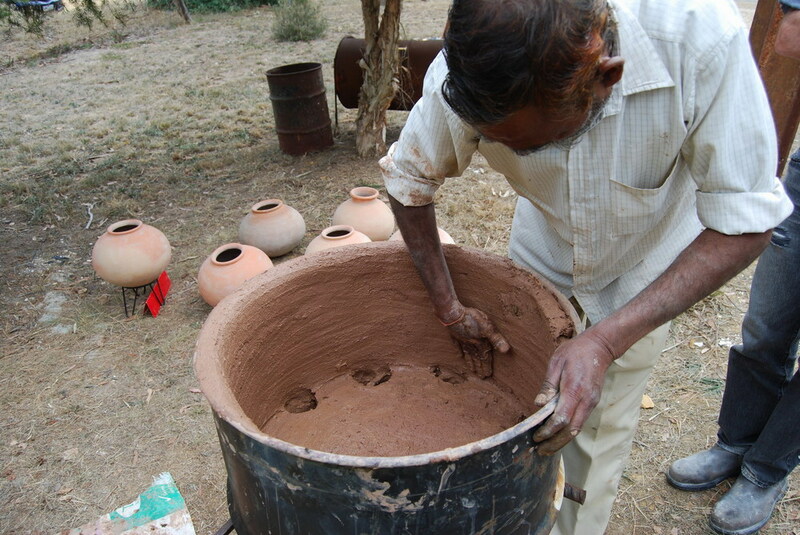 Manori and Jagdish helped each child make a small pot on their traditional wheels. Sunday afternoon was open house, and it was full house. Children and children at heart had a go on the wheels making small pots with Manori and Jagdish as well as having the opportunity to contribute to 3 large waterpots painting with locally founds earth materials. We then returned to Tallarook. We had day workshops at Tallarook Primary School and the grades 5 & 6 at Seymour College. and then some more relaxing days at the Tallarook workshop making, painting and firing. We did have some sightseeing time. Other than getting to know Castlemaine well we also had a weekend at Jan Juc. 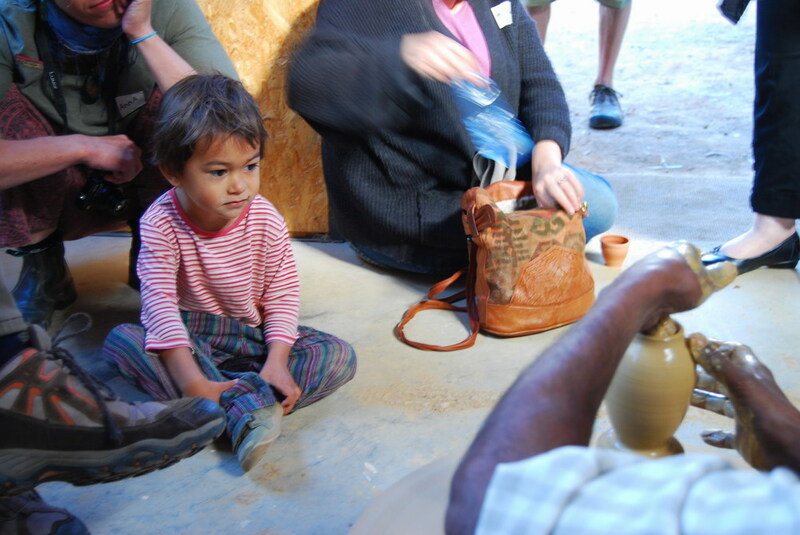 Thanks to the team for another wonderful time together making beautiful pots and cementing friendships.